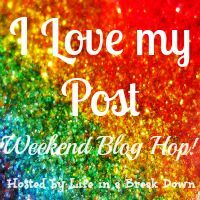 I got a little crafty this week...and so did my kids! 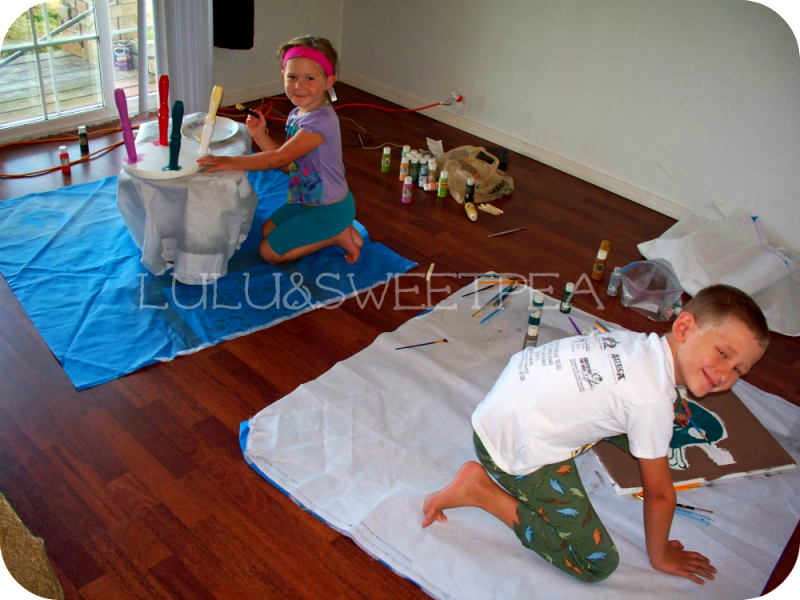 They absolutely love to paint. 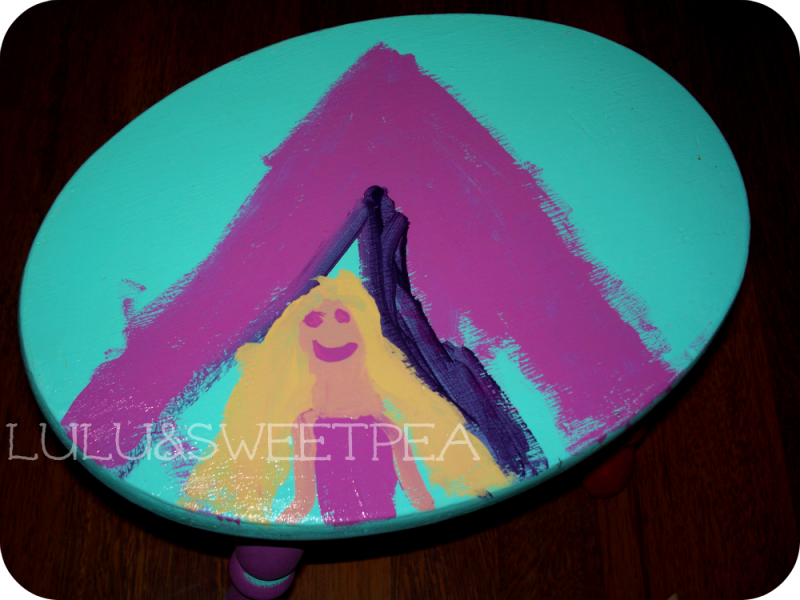 Lily decided her step stool needed a makeover, and Ayden opted for a regular ol' canvas. This area is supposed to be my sewing/crafty area, but as you can see, I've yet to find furniture for it yet. (we've only been moved in for a month). So for now we get crafty on little drop cloths on the floor. Ayden worked really hard on a cool skull painting. 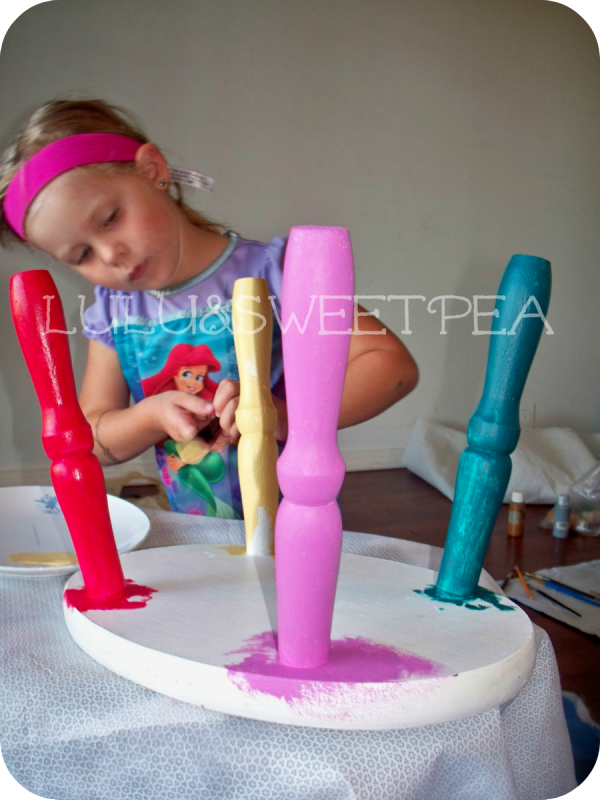 I let Lily do whatever she wanted, so her step stool ended up with rainbow legs. 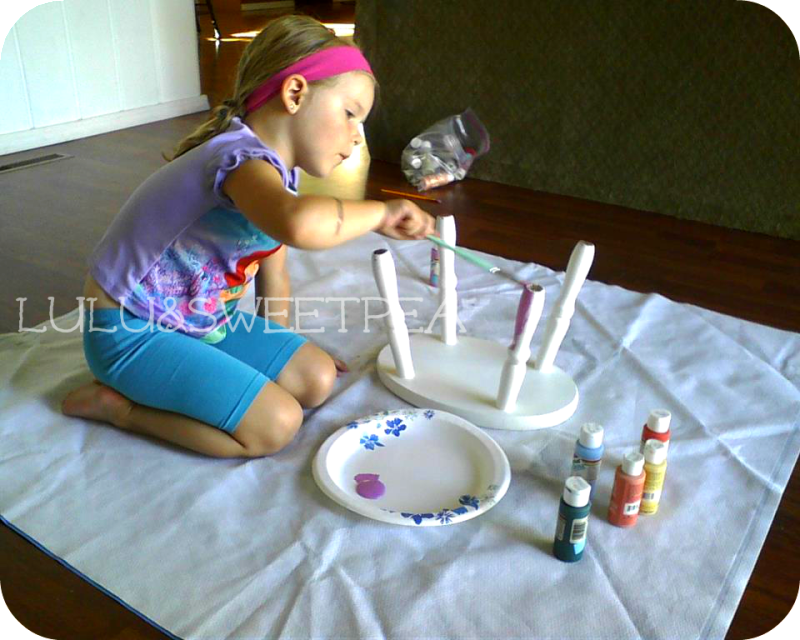 (I love the look of pure concentration on her face). Here she's explaining how she really is an artist. This step stool is just too cute for words. It's Rapunzel way up in her tower. She even tried doing "designs" on the legs. Fancy! Both of my little artists' masterpieces. Now, some moms might cringe at the fact that their son is painting a skull dripping in blood. 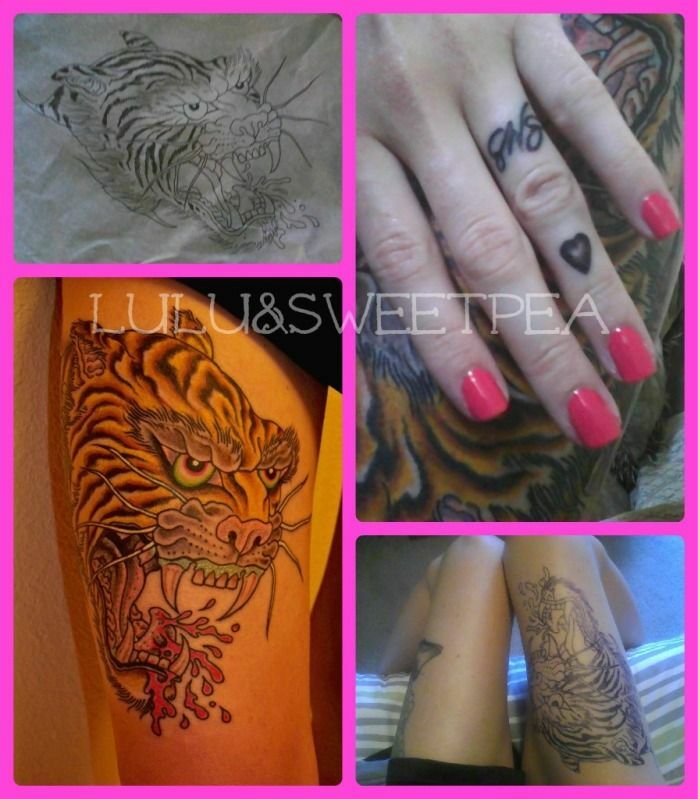 But keep in mind that his daddy is a tattooer, and he's only trying to copy a technique he saw on of my recent tattoos. Plus, he's a crazy good artist for an 8 year old and I'm all for encouraging that! 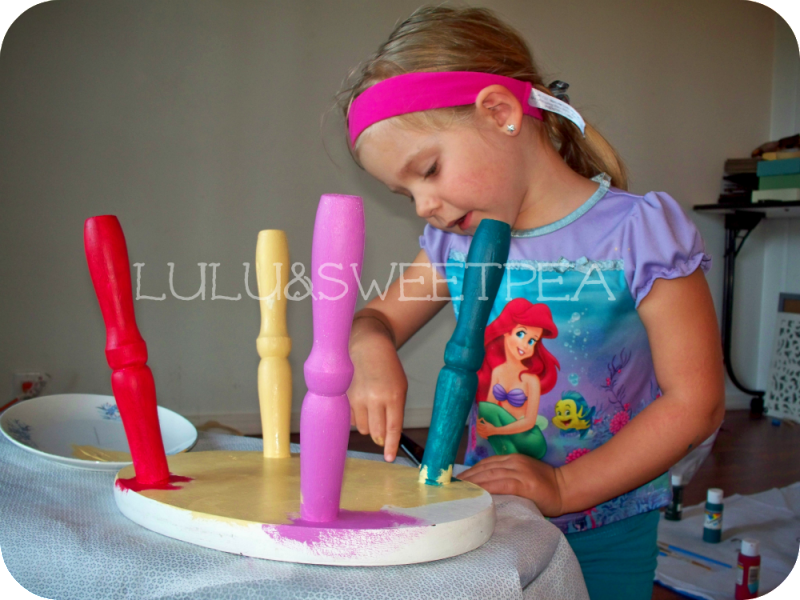 Are your kids creative? What kind of stuff do you like doing together? We could always use fun ideas! 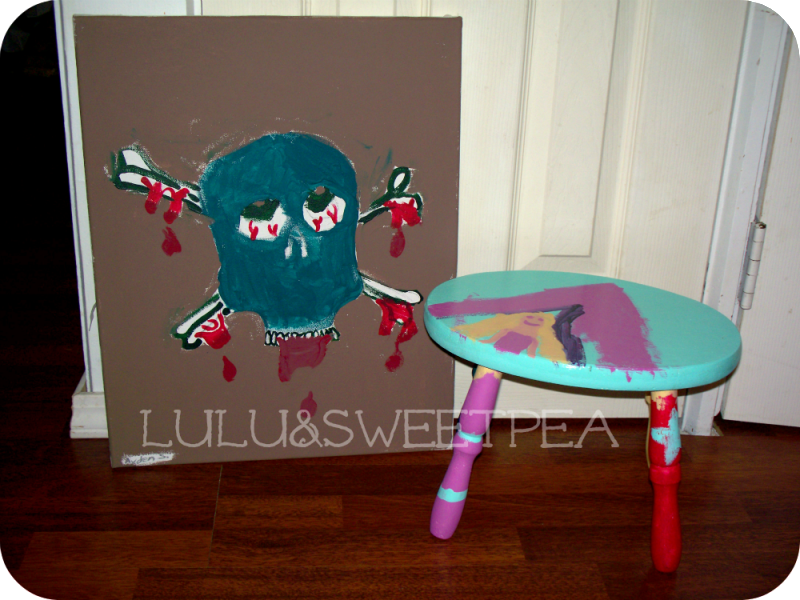 Those are both awesome :) I love love love Lily's stool - I love how she designed the legs AND Ayden's skull is so killer! I don't think there is anything wrong with that. Little boys play ninjas and cops & robbers and stuff like that, so it doesn't seem out of the ordinary! Oh my gosh! Seriously, this is the cutest thing I've ever seen!! I love the designs she added to the legs! And Ayden's skull is AMAZING!!! Talented kids!!! And I second Sarah, I see nothing wrong with that. Fin goes around playing black ops or ninjas and talks about nurses chopping his head off. It's part of being a kid, I think but maybe I get the tattoo thing so it's not weird to me?! Following you back. 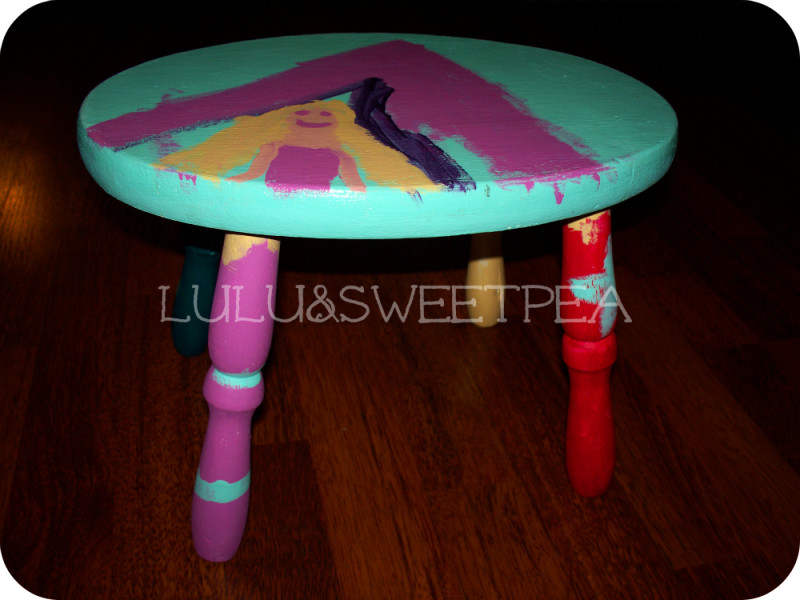 LOvE this stool idea! looks like an awesome crafty day ! don't worry about not furnishing, I moved in 1.5 years ago and i only just bought proper wardrobes. yea, pathetic i know !